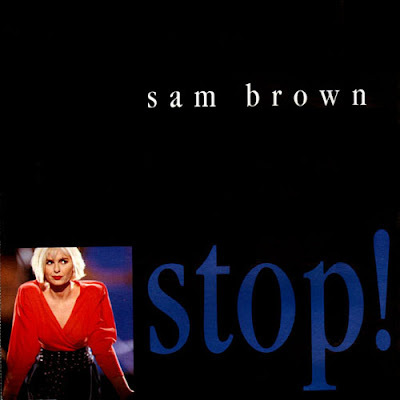 In 1988 Sam Brown released the single Stop! in the UK, it wasn't a hit, only reaching number 52 in the charts. The following year it was re-released and was a top ten hit in the UK reaching number 4. It was also a top 5 hit in Canada, Australia and got to number one in the Netherlands. The follow up single Can I Get A Witness didn't repeat the success of Stop! as it only reached number 17 in the UK. To date Stop! is still Sam's biggest hit but it's a great one. In 2004 Jamelia covered Stop! and it got to number 9 in the UK and was also a top 20 hit in Ireland. Both versions are good but I still prefer Sam's version. Oh God I love this song, but hadn't heard it in years. Thanks!